Unlike other trends in discrimination, maternity, pregnancy and family discrimination shows no sign of diminishing over time. A third (36%) of private sector employers agree that it is reasonable to ask women about their plans to have children in the future during recruitment. Six in 10 employers (59%) agree that a woman should have to disclose whether she is pregnant during the recruitment process. Almost half (46%) of employers agree it is reasonable to ask women if they have young children during the recruitment process. This week, the government found time away from debating the latest Brexit deal to launch a consultation which proposes that the legal protection against redundancy for pregnant women and new mothers on maternity leave is extended by up to 6 months after they return to work. However, it is not just mothers affected by this strand of discrimination. The Government in launching the consultation seeks to afford the same legal protection to fathers returning from shared parental leave. One would simply have to look at the Government’s own statistics to see that new fathers are not taking up parental leave in the numbers hoped for. Incredibly, only one percent of all parents eligible to take shared parental leave opted to do so in 2017. While the figures for 2018 have yet to be published, it is anticipated that the percentage will not be dissimilar to that of the previous year. It is not credible to suggest that the figures are so incredibly low because new fathers simply do not want to spend time at home with their children. A few simple words typed into an online search engine will produce hundreds (if not thousands) of first-hand accounts of fathers being ridiculed and subjected to “banter” in the workplace for contemplating shared parental leave or asking for flexible working in the months following the birth of their child. Time will only tell whether these proposals would be enough to reduce the significant number of women who lose their jobs due to pregnancy and maternity discrimination, but there are many who agree that the prospect of stronger legal protection is a very welcome first step. The results of the research by the BEIS and the launch of the consultation naturally raises the questions: what can employers do to be more family friendly and how would this benefit businesses? Research shows that many parents (both new and established) value employers that allow them to be flexible. This could be through offering formal flexible working options (such as part-time or regular home-working) or simply giving some flexibility for short periods of time when parents may need it, for example if a child falls ill or during unexpected inset days at school. Employers also have the option of allowing flexibility within their other existing policies such as allowing the build-up of time off in lieu to facilitate other commitments such as medical appointments or school events. Flexibility in the workplace goes two ways and by being flexible with employees, businesses can also expect that employees will demonstrate a similar approach to their work and meeting business needs. Studies have shown that employees are more likely to be engaged at work and loyal to employers who offer family friendly policies. This will allow employers to retain skilled, trained and experienced staff and in turn reduces the costs of recruitment. The benefits of family friendly policies are not limited to those listed above by any means. The list of possible actions an organisation can take is non-exhaustive and could assist with redefining workplace culture and the health and well-being of staff. Contact us if you would like to discuss this topic further on 01865 594 274 or employment@hedgeslaw.co.uk. Pregnant women and parents returning to work will receive greater protection from redundancy under new plans. The government proposes extending legal protection against redundancy for pregnant women for six months after they return to work. The protections could also be extended to others, including men, who return from adoption or shared parental leave. Theresa May said: "It's unacceptable that too many parents still encounter difficulties when returning to work." 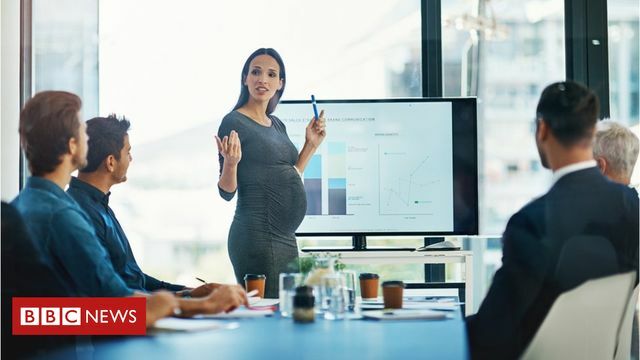 Business Department research found that one in nine women had been fired or made redundant when they return to work after having a child, or were treated so badly they felt forced out of their job. The study also suggested that 54,000 women may lose their jobs due to pregnancy or maternity every year. The gender pay gap saga does not look to be dying down any time soon.